This is one of my favourite sauces because it is so tasty and you can make it in the time it takes to cook your pasta. It is an excellent one to whip up on a busy work night. We usually serve it with homemade ricotta gnocchi or ravioli. In fact, it is a great meat-free option to have on your meal plan all year round. Serve it with crusty garlic bread during the colder months or with a fresh garden salad in warmer weather. It is so delicious, even the biggest meat lover will not be able to resist. Enjoy! Chop the pumpkin into two centimetre cubes and finely dice or crush the garlic. 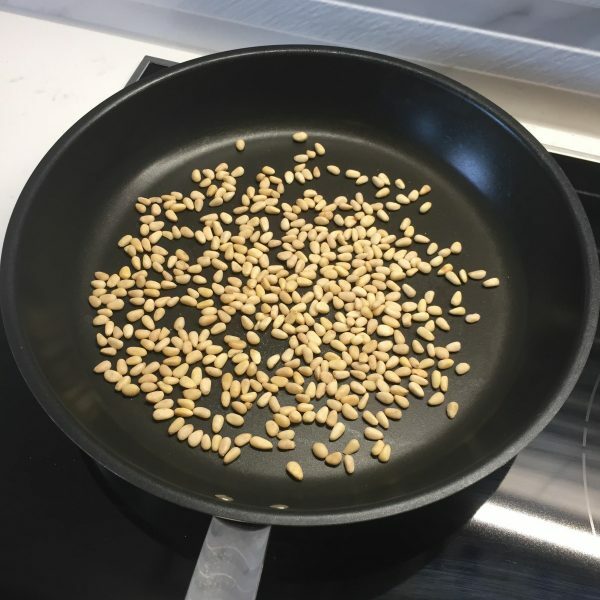 Toast the pine nuts in a fry pan and put aside. Add the oil to the pan and bring to a moderate heat. 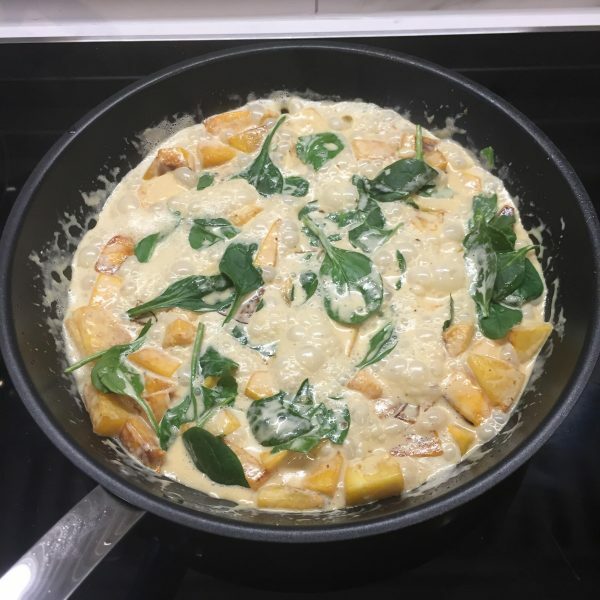 Add the pumpkin cubes and garlic to the pan and cook for eight minutes or until the pumpkin starts to soften. Add the cream and spinach to the pan and bring the sauce to the boil. Turn down the heat and add the grated parmesan, salt and pepper. 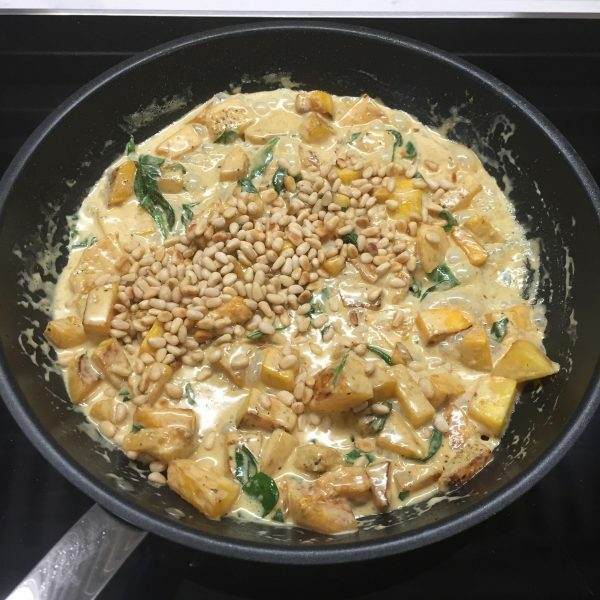 Stir through the toasted pine nuts. Stir your favourite pasta through the sauce and serve. 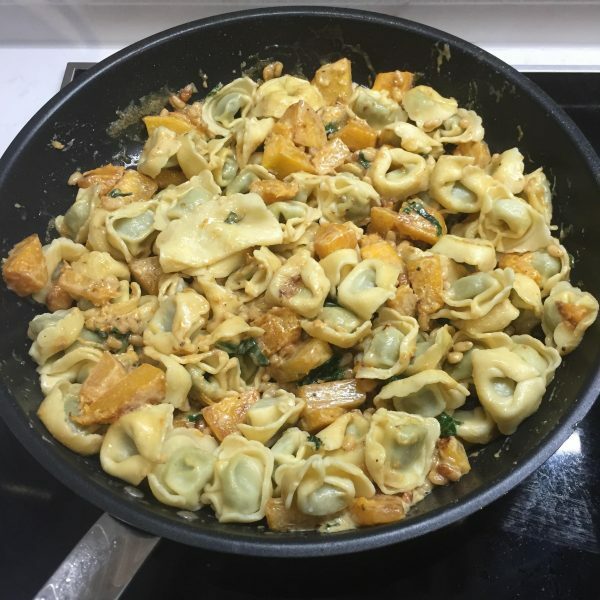 This entry was posted in Recipes, The Organic Place and tagged Certified Organic, Family, Health, Healthy, Healthy Eating, Kids, Organic, Organic Foods, Pumpkin, recipe, recipes, Seasonal Produce, The Organic Place, Vegetable, Vegetables.